Gurgaon, Apr 08: Two Hindu Sena members were arrested for allegedly forcing meat shop owners to shut their businesses in view of the Navratri festival, a police official said on Sunday. 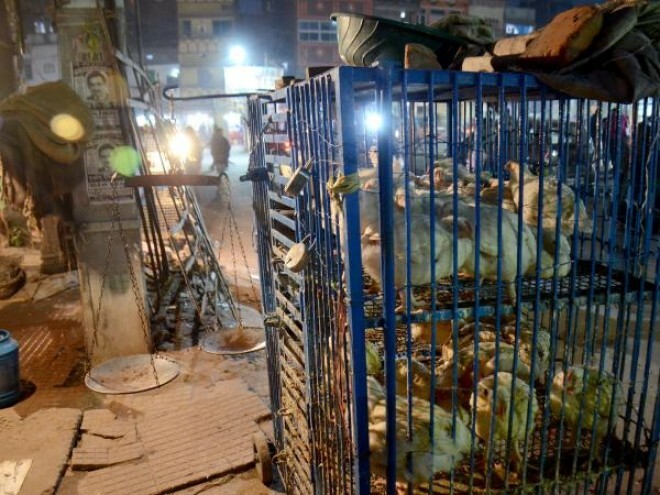 In a CCTV footage, Rakesh and Pramod Singh could be seen pulling down shutters of meat shops and threatening their owners, he said. "Rakesh and Pramod along with 40 other members of the Hindu Sena have been booked for threatening meat shop owners with dire consequences for opening their businesses. They were marching on streets holding batons, hockey sticks, swords and iron rods in their hands," DCP Sumer Singh said. Over 200 Hindu Sena activists on Saturday marched towards many places in Gurgaon, including Palam Vihar, Badshahpur and Om Vihar, and forcibly shut 250 meat shops, he said. "The Hindu organisations would continue with their efforts throughout Navaratri as opening of meat shops during the festival could hurt religious sentiments of Hindus," said Ritu Raj, the president of Hindu Sena.